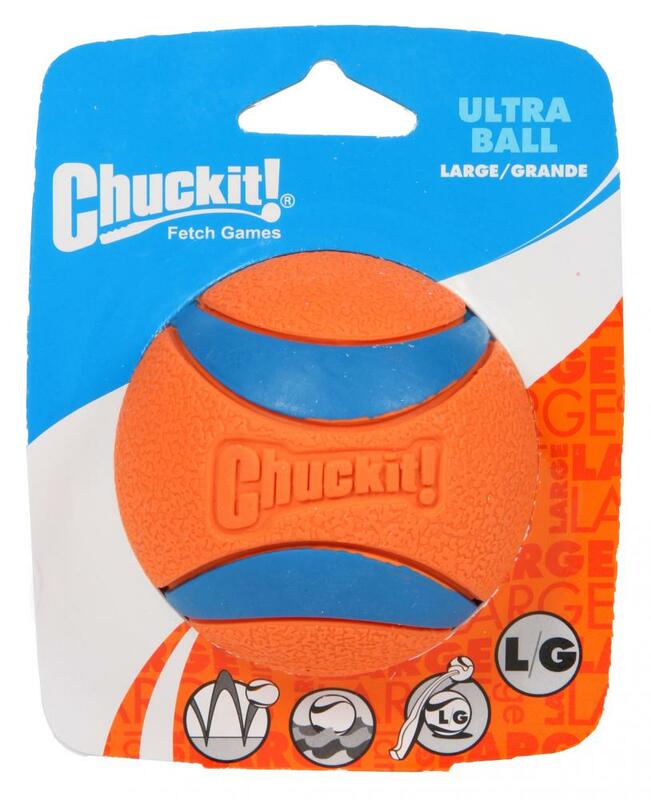 The Chuckit Ultra Ball is a natural rubber ball which enable highly enjoyable games with your dog. With little effort each Ultra Ball will bounce high up for your dog to catch, and what's more they float too! The ball is also easy to clean so you can always keep it in good condition. For extra length on your throws, why not match with a Chuckit Ball Launcher. There are currently no questions for Chuckit Ultra Ball Dog Toy - be the first to ask one!